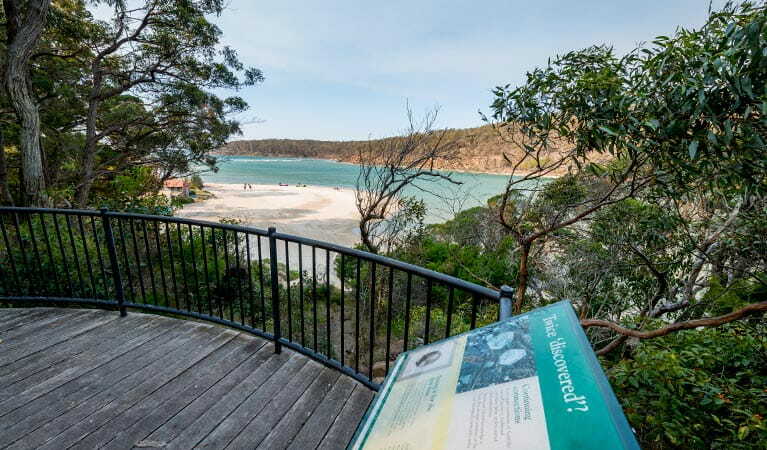 Pambula River walking track in Ben Boyd National Park is a short walk that offers scenic views along the coast and whale watching and birdwatching from the lookout. It’s a good idea to put sunscreen on before you set out and remember to take a hat and drinking water. Strong rips and currents may be present at this beach – take care in the water and please supervise children at all times. 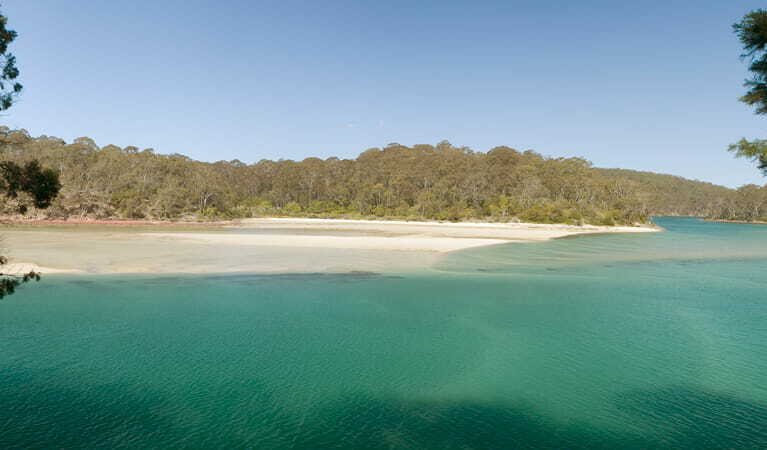 If you’re after a feeling of tranquillity, this peaceful walk meanders gently along the Pambula riverbank. 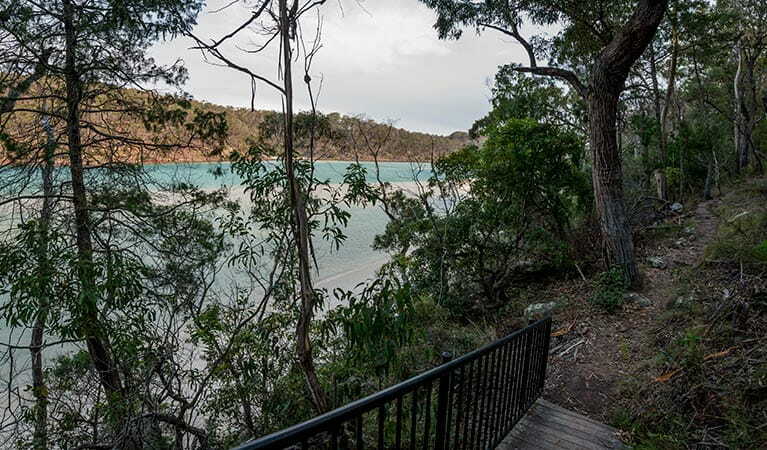 Offering charming river vistas, it winds through coastal woodland to a lookout with scenic views across Severs Beach and Pambula River. 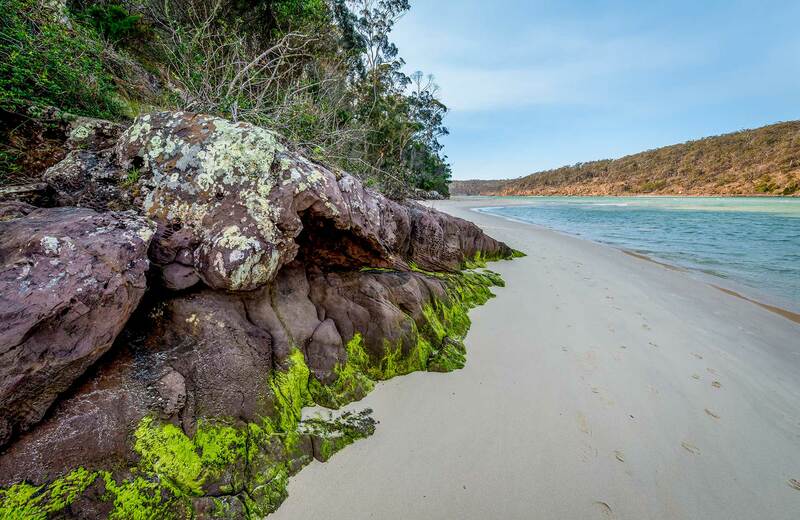 Pambula River walking track is a relaxing stroll, ideal for families and nature-lovers keen to take in the unspoilt natural beauty of Ben Boyd National Park. 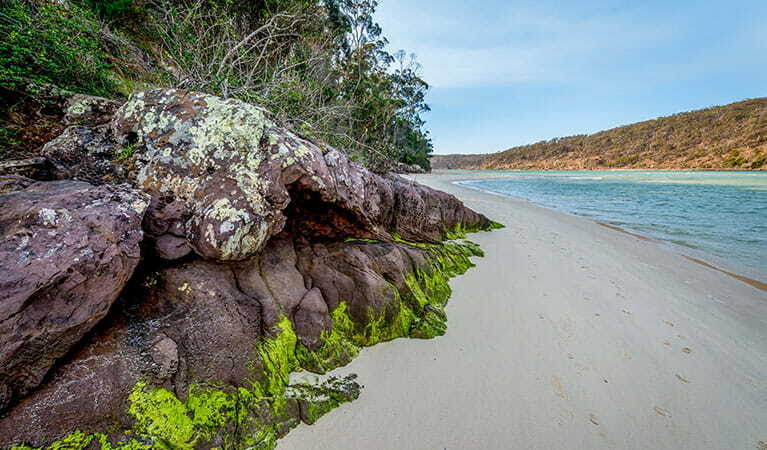 The track starts at the mouth of Pambula River, offering lovely views of Haycock Point. Information signs dotted along the way highlight the area’s rich cultural history. Bring your binoculars to see a wide variety of birdlife including sea eagles, and you may even spot dolphins or stingrays in the crystal clear waters of the river. 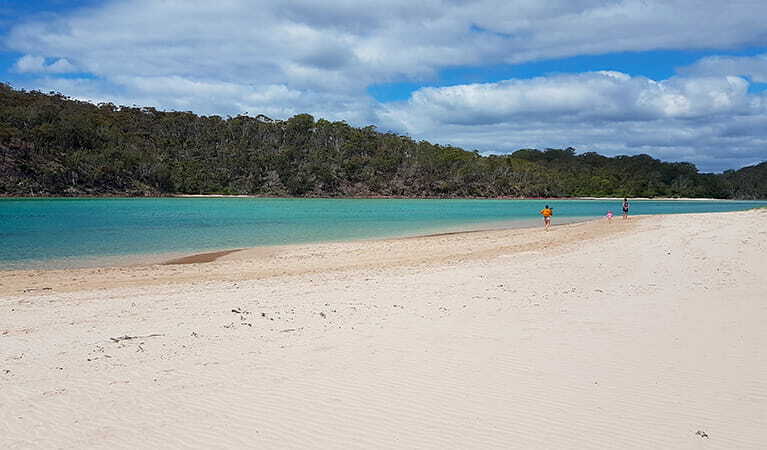 Pack a thermos and enjoy a break at the secluded inlet before retracing your steps.